A cross section of a modern submarine communications cable. 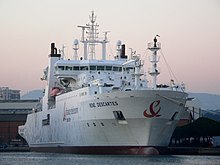 Submarine cables are laid using special cable layer ships, such as the modern René Descartes, operated by Orange Marine. 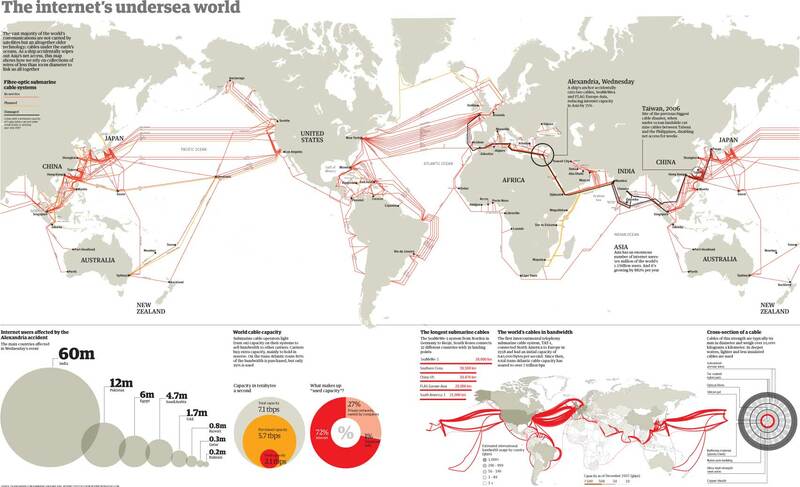 Submarine cable maps by Telegeography, showing evolution since 2000. 2008 map in the Guardian; 2014 map on CNN.